Yes, it’s the obvious one and it’s a cliché, but things become clichés for good reason. 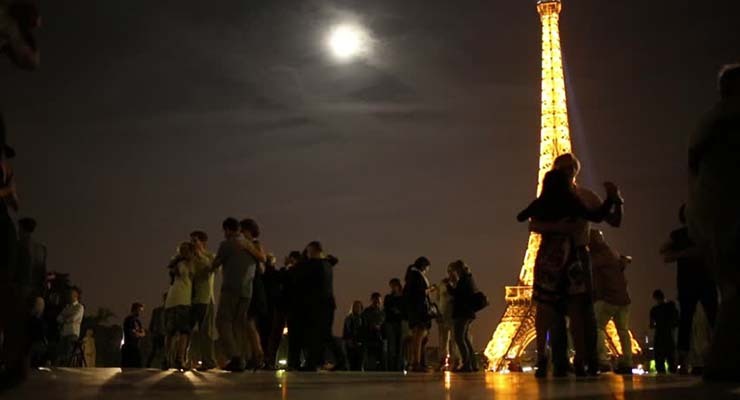 Paris is an ideal destination for lovers all year round, and Valentine’s Day is no exception. Things you can do together at this time of year, that aren’t possible in summer, include skating hand-in-hand under the Eiffel Tower…how romantic is that?! Other suggestions include joining the ‘I Love You’ tour in The Louvre. It lasts 90 minutes and features a number of works showing how artists have depicted love through the centuries. For a more recent artwork, visit the ‘Wall of Love’ in Montmartre. It’s a huge installation which features declarations of love in more than 300 languages. See if you can spot where it says ‘Tá grá agam duit’! Then, to round off your trip with an indulgent meal, choose from one of the city’s 99 Michelin-starred restaurants. It really will be a Valentine’s Day to remember! Our next suggestion for romantic destinations for a Valentine’s Day gift is the city dubbed ‘the Paris of the East’. 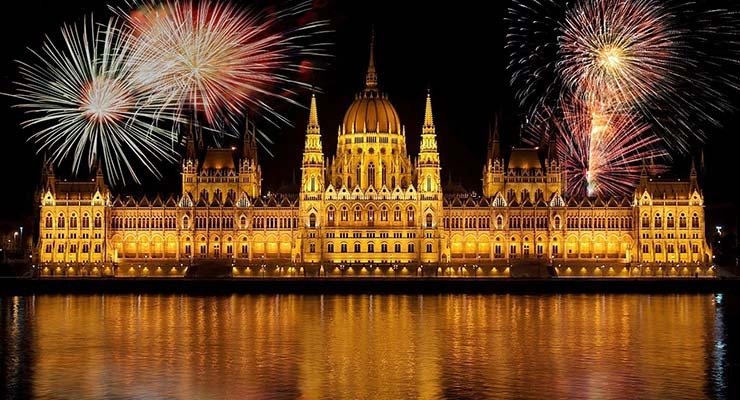 Budapest is one of the most enchanting and charming cities in Europe, and offers great value too. Take a stroll through the famous Buda Castle and Buda Hills, or a leisurely cruise down the Danube. One of the biggest attractions in Budapest are the thermal baths to be found all over the city, where you can bathe together with your special someone – even outdoors, even at this time of year! Two of the best are the Szechenyi Baths in the City Park, and the Gellert Baths by the Danube. A half-day ticket should cost around €12. Venice is a truly magical and unique city. On land, take a leisurely stroll around San Marco Square with is incredible architecture, or amble along the city’s other narrow streets and bridges. 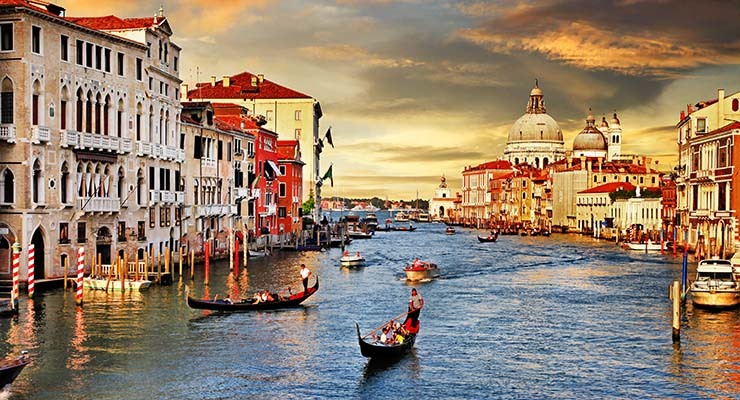 On water, take a romantic trip in a gondola, and be serenaded with a song or two from your gondolier. The city is even more attractive after dark, as its streets and buildings are imaginatively lit. Choose a restaurant or bar, and have a romantic and leisurely evening together in one of the most romantic destinations for Valentine’s Day possible. One other piece of advice, though: Venice can be expensive. But isn’t your loved one worth it? 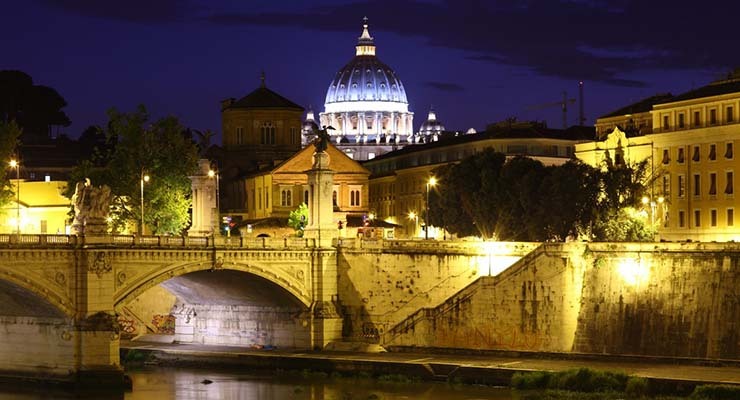 Where better than the Eternal City to declare your eternal love for each other? For a vintage ‘Roman Holiday’, rent a Vespa and ferry your special someone through narrow streets and hidden alleyways, just like in the film. If that sounds too adventurous, walk instead around the city’s countless museums, art galleries, and historic ruins. Stop for a gelato on the Spanish Steps, or indulge in good Italian coffee or wine together. And for classic Italian cuisine with a Valentine’s Day twist, order a pizza in the shape of a heart. You’ll find many pizzerias offering them that way at no extra charge. 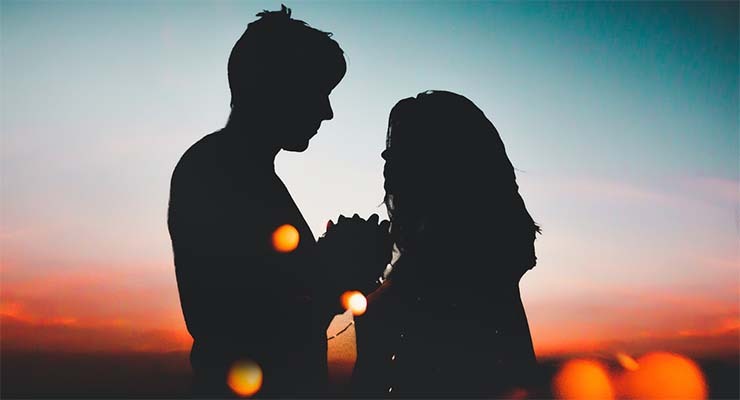 We hope our suggestions for romantic destinations for Valentine’s Day are useful to you, and that you might get to enjoy a few days away with your loved one.